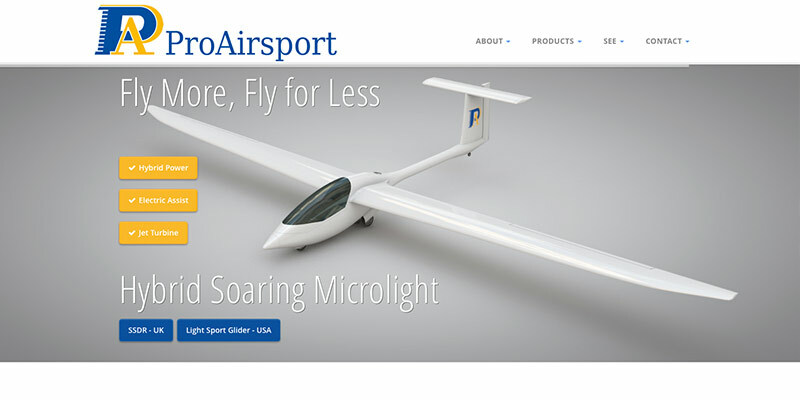 ProAirsport is a British design & manufacture company based near Milton Keynes, Buckinghamshire, manufacturing a unique new kind of soarable microlight aircraft. 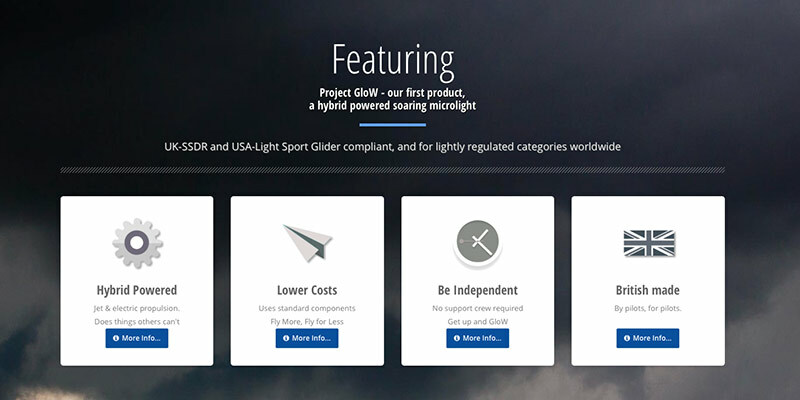 Experience in the US, and finally the SSDR initiative in the UK, drove them to quickly develop an innovative new product to fill a price/performance gap in worldwide microlight and self-launch sailplane markets. 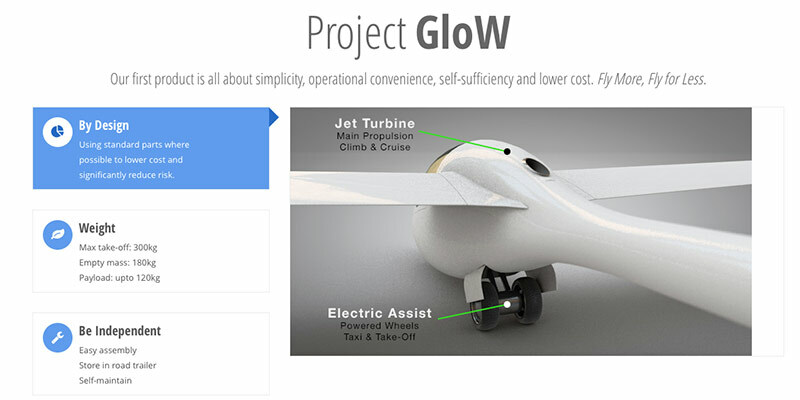 Their first product, currently in development, is a hybrid glider using a small jet turbine combined with electric power, to create a unique self-launch light aircraft. This is a 'responsive website' design that automatically configures its layout according the device being used, so it works beautifully whether displayed on a PC, laptop, tablet or iPhone. The site is based around the Twitter Bootstrap framework - a reliable system that's thoroughly tested by millions of Twitter users. 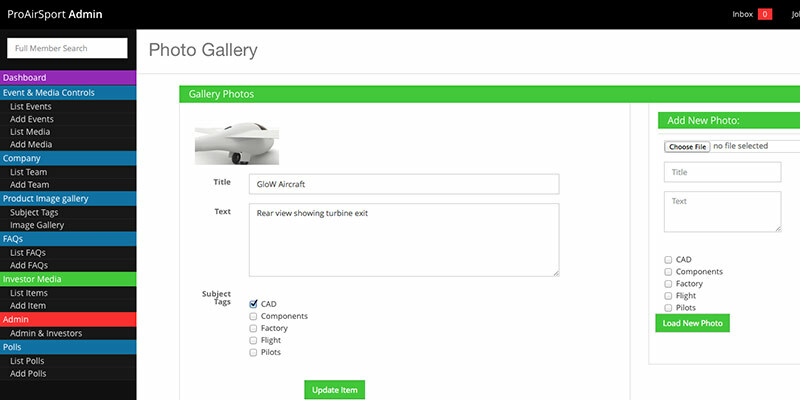 As the gliders are currently in pre-production, only static images were available. To generate a sense of movement, we added sliders to the home page with animations of text and buttons, and a 'parallax' effect on some background images. The home page is designed as quite a long page to tease users into finding out more and more about the glider. The website has a back end CMS to allow the client to make easy text changes using a wysiwyg interface, as well as provide private documents for registered members. iCatching also hosts the site and handles the company email accounts.